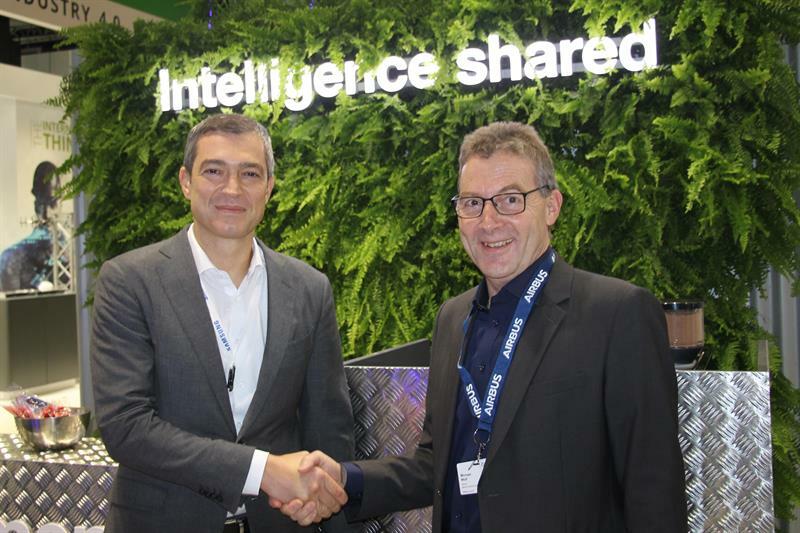 Airbus Defence and Space and Samsung have formed a partnership to develop a terminal and collaboration platform that will support narrowband and broadband systems. The platform is intended to facilitate the future use of multimedia communications by German public safety users. The two companies state that the Hybrid Tactical Management solution will be able to integrate rapidly-evolving applications, smartphone technologies and TETRA networks, while giving user organisations complete control over who can use which applications. Speaking with Critical Communications Today on the sidelines of PMRExpo, Michael Wolf, head of sales DACH, Airbus Secure Land Communications said that part of the rationale behind the partnership was the realisation that the two companies aren’t competitors given Airbus’s focus on “highly reliable voice communications” and that while Samsung is providing handsets to the UK’s Emergency Services Network project, these are LTE only. Another factor is Airbus’s expectation that there will be a long period of coexistence between narrowband and broadband technologies for critical communications. Wolf added that the “success” of Airbus’ Tactilon Dabat was the “key driver” for the company to go further in this direction and he also highlighted customers’ desire for flexibility on the smartphone/LTE side given the difference in generation cycles between it and narrowband technologies. Some additional context was provided by BDBOS’s Barbara Held. Speaking at PMRExpo, she said that while no decisions have been made, the current vision in Germany is for there to be a national hybrid solution comprising of a TETRA base module (a black box with harmonised interfaces), together with a hardened commercial smartphone that will act as the control panel for the TETRA base module and support future applications. She added that the future network model being proposed is a hybrid network, using the current BOS TETRA network, a basic dedicated network using 450MHz spectrum and RAN sharing with commercial operators in the 700MHz band, together with additional services via roaming provided by commercial operators.